Feeling the heat? 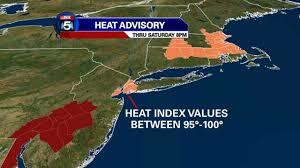 Its no surprise, since New York City is now in the middle of a heat wave. However, if 95+ makes your blood boil there is relief, even if you don’t have a working air conditioner or any ac at all. How so? At one of New York’s cooling centers. Yes you heard right. Right in your own neighborhood are places you can go to get some respite from the muggy, hot weather. Here is a list so you can find the one most convenient for you. So go down and cool down! • Prospect Hill Senior Services Center- Head on over to 283 Prospect Ave anytime from 8am to 4pm Monday through Friday. For weekend hours call 718-499-9574. Hours may be extended if there is a heat emergency. Wheelchairs welcome. • Windsor Terrace Library- At 160 Fifth Street the library is a great place not just to cool off, but to also get some good reading material for the summer. Open Monday and Tuesday from 10 a.m.-6 p.m.; Wednesday from 1-8 p.m.; Thursday and Friday from 1-6 p.m.; for Saturday and Sunday hours, call 718-686-9707. Hours will not extend during heat emergency. Not wheelchair accessible. • Kensington Library- Getting cool has never been easier. At 410 Ditmas Avenue check out the climate along with some books. Monday from 10 a.m.-6 p.m.; Tuesday from 1-8 p.m.; Wednesday from 10 a.m.-6 p.m.; Thursday from 1-8 p.m.; Friday from 10 a.m.-6 p.m.; for Saturday and Sunday hours, call 718-435-9431. Hours will not extend during heat emergency. Not wheelchair accessible. • Brookdale Neighborhood Senior Center/Agudath Israel of America- All are welcome to escape the heat at 817 Avenue H. Hours are Monday through Friday from 8am-4pm. On Saturday and Sunday call ahead for hours: 718-434-8670. Hours will not extend during heat emergency. Access to wheelchairs. If you need further assistance or the addresses of other New York cooling centers contact the NYC Office of Emergency Management.